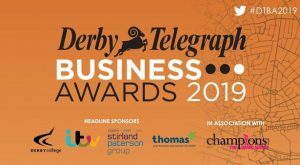 The Derby Telegraph Business Awards are back for 2019. The awards aim to celebrate success, recognise achievement and highlight the innovative people and companies throughout Derbyshire who are putting their region on the map by boosting the economy while making a positive contribution to the local community. To register your Cathedral Quarter based business for the awards click here.